Staff at Camp Poyntelle have the unique opportunity to make a profound impact on the life of a child. 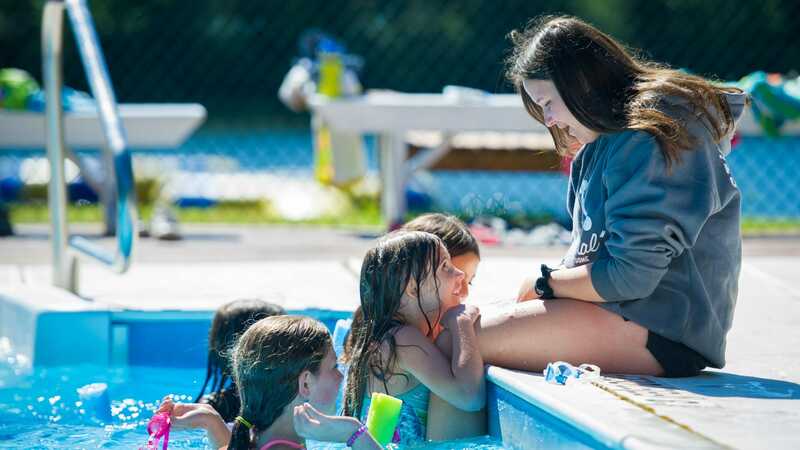 Whether it’s out at activity, hanging in the bunks or doing something silly on stage with your campers, Camp Poyntelle staff have the best summer job. Nothing beats positively impacting how a child experiences the world. We know how many options there are for young adults for summer employment. Take a moment and ask yourself….how do you want to spend your summer? Taking lunch orders behind a counter? Stocking shelves? What if we gave you the opportunity to make a real difference in the life of a child? What if this were your chance for an adventure? Meet new people from across the globe and be a superhero in the eyes of your campers! This is your time, this is your chance…Don’t miss out on this once in a lifetime opportunity!